David Almasi is part of a conservative group that focuses on free-market investor activism. 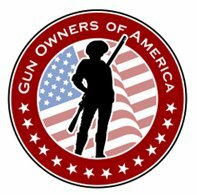 This entry was posted in 2nd Amendment, Anti-Gun, Gun Control, In the News, Politics and tagged 2A, 2nd Amendment, Anti-Gun, bill of rights, CCW, concealed carry, Concealed carry in the United States, Crime, Crime and Justice, Firearm, Gun, Gun Control, gun free zones, Gun law, Gun politics, gun rights, Gun violence, guns, Handgun, home defense, Home invasion, Law, National Rifle Association, NRA, pro gun, Pro-Gun Rights, Right to carry, Right to keep and bear arms, School shooting, school shootings, Second Amendment to the United States Constitution, Violent crime. Bookmark the permalink. Good and we need Dicka sporting goods why?